(Community Matters) Send messages in favor of nondiscrimination. The Boy Scouts of America board is scheduled to discuss the matter of ending the gay discrimination ban next Wednesday. Right wing groups are voicing their loud opposition. 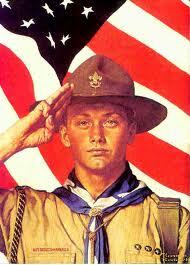 End the ban on discrimination against the GLBT BSA Scouts and Leaders!